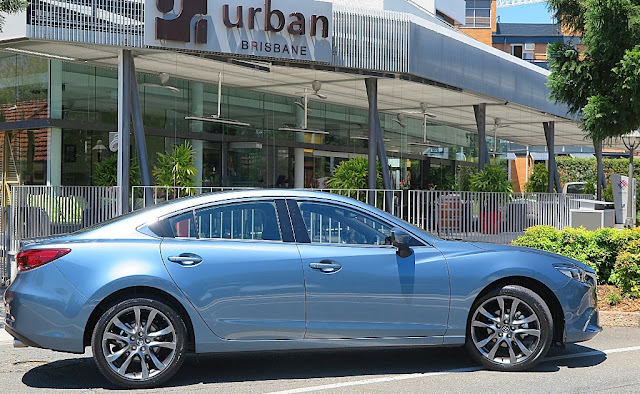 The latest Mazda 6 bears out the phrase, and in its latest iteration has boosted its stocks in the looks department. 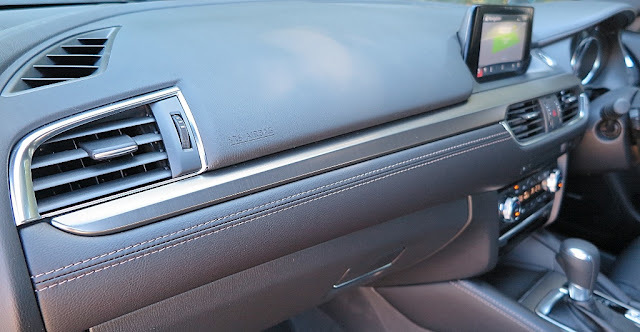 This car reeks premium, and for my money it’s competing against the wrong cars. 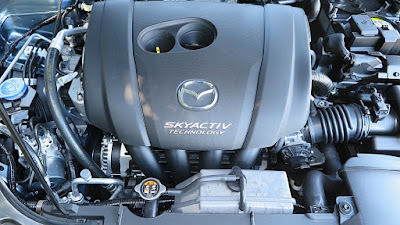 Nominally Mazda 6 is a Toyota Camry competitor, sloshing along with all the other class competitors like Honda Accord, Hyundai Sonata, Nissan Altima, Kia Optima, Subaru Liberty, and a few other low volume brands. However, having just racked up a couple of hundred kilometres in a 2.5L petrol version, I think it’s good enough to compare to Jaguar XE and Mercedes C 200 – it’s that good. The three cars all weigh about 1490kg and are roughly the same length, 4700mm. Sitting in the Mazda 6 feels just as plush as the Jaguar and Mercedes. The Japanese car suffers no embarrassment when it comes to equipment, premium trim, fit and finish. 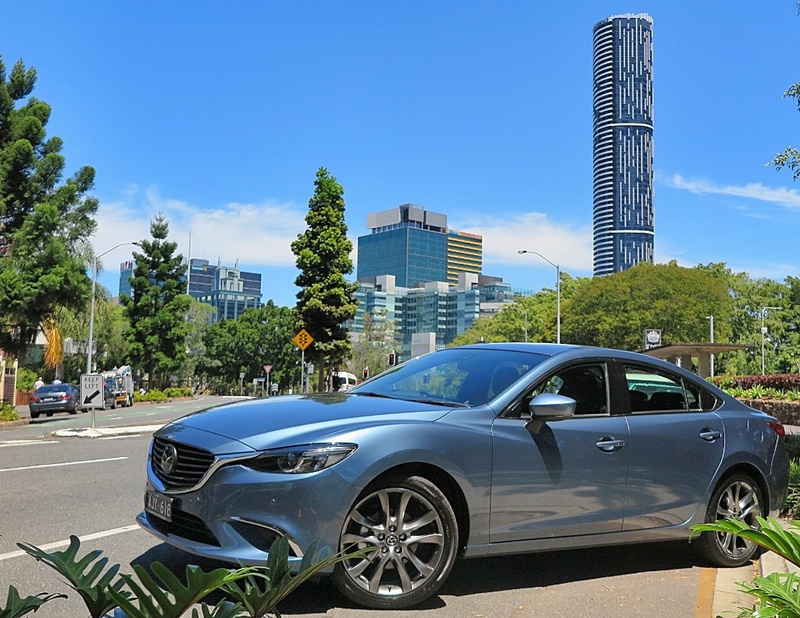 I do think the Mazda is a better car than its Japanese and Korean competitors, but of course with a huge gap in price it’s fairly certain Jaguar and Mercedes buyers won’t have the Mazda 6 on their shopping list. On the road there are some obvious differences. The winner is without doubt the Jaguar XE. It’s aluminium platform and body give it an athletic feel, and in ride and handling it is just superb – clearly a class leader. 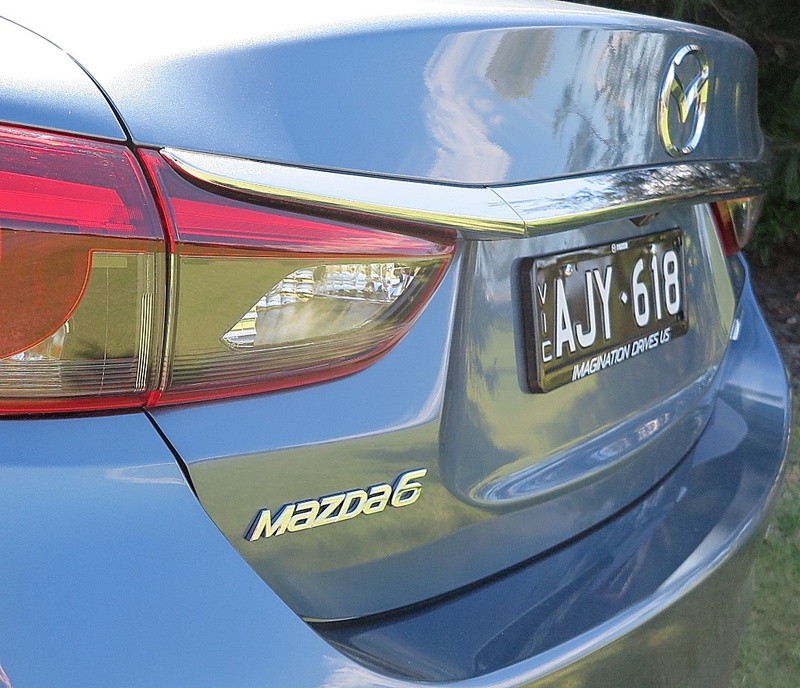 The Mercedes-Benz C200 and the Mazda 6 – both steel bodied – feel very similar to me. The way the weight is distributed in these three cars plays an important role in their ‘feel’ on the road. When you get down to brass tacks however, the Mazda 6 does fall behind the Europeans, despite its impressive G-vectoring software. 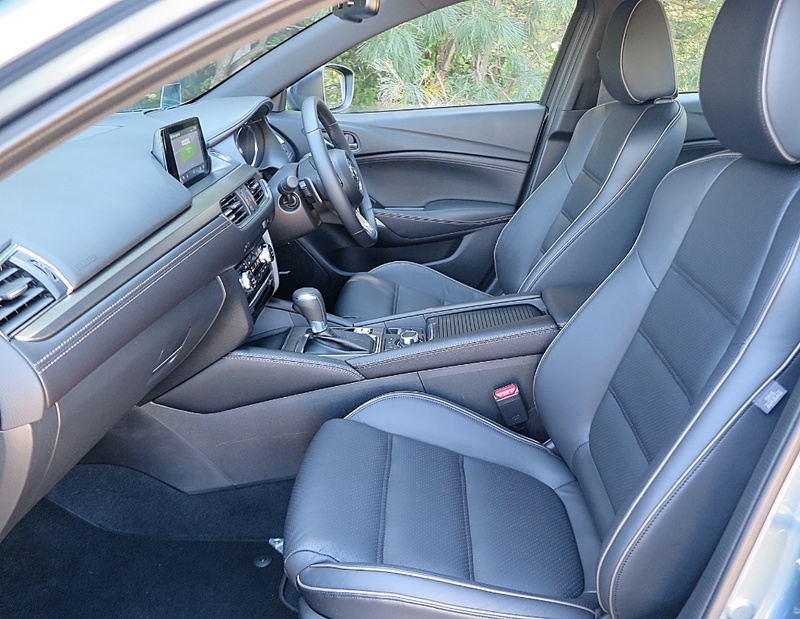 The ride is compliant, but despite all the advances SkyActiv technology has wrought, the Mazda is definitely not a sporty handling car – whereas Jaguar XE and the C200 cry out to be driven hard. 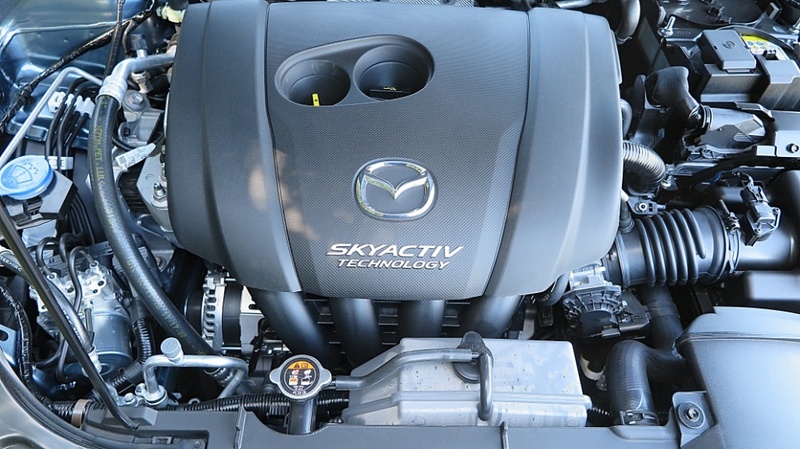 Mazda's naturally-aspirated 2.5L in-line four cylinder is a responsive engine, well-matched to Mazda's own 6-speed auto transmission. The Mazda 6 is about the same size as the now-almost-dead Aussie Big 6; and any Australian lamenting the disappearance of the Ford Falcon or Holden Commodore would be well-advised to check out the Mazda 6. The value equation is played out right in front of your eyes on the showroom floor, and the data, spec and price comparisons. 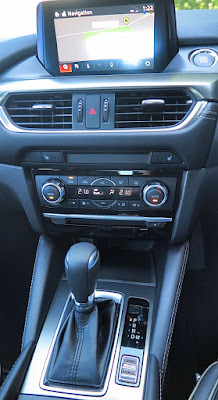 This is a NICE car; well-equipped and beautifully finished, and given Mazda’s reputation for longevity, it will serve you well for a long time to come.